Box fans are large square fans that most people place in windows on on tables to generate air flow in a home or room. 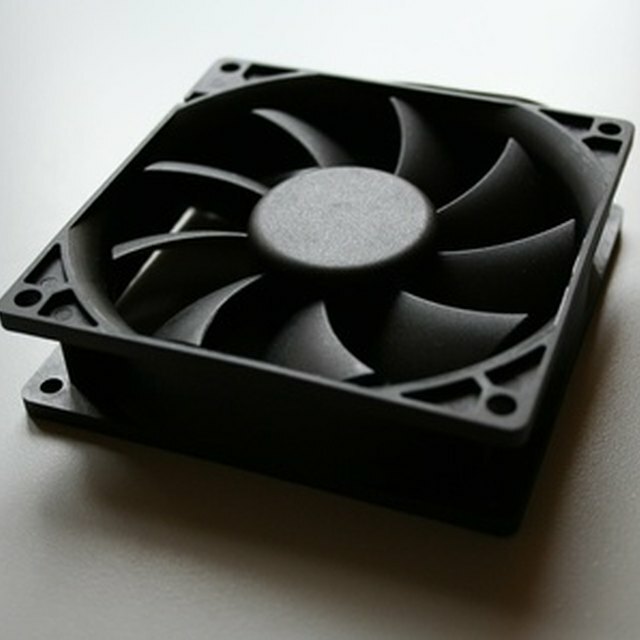 These fans can be very noisy while generating this continuous air flow. Many homes, however, do not need this large airflow. What if all you want is a gentle breeze? This would involve slowing the box fan down to about half its slow speed. This can be achieved by placing a dimmer switch or variable rheostat on the fan's power cord. Check the voltage and current requirements for the fan. These can be found on the manufacturer's label on the fan. Purchase a dimmer switch that has an equal to or higher voltage and current rating than the fan. This will help keep the dimmer switch from overheating. Look at the fan power cord. The power cord is composed of two wires joined together by a small piece of insulation. Cut along that small piece of insulation to separate a portion of the two wires. Take one of the two wires in the cord and cut that one wire. Strip 1/2 of an inch of electrical wire off of each of the two cut ends. Connect one end of the cut wire to one of the two screw terminals on the dimmer switch. Then connect the second wire end to the second dimmer switch terminal. Tighten both screws. The dimmer switch can either just hang on the cord, or you can use the dimmer switch mounting screws to secure the switch to the side of the fan. Plug in the fan. Turn the fan on its lowest setting. Change the dimmer switch setting also and the fan should spin even slower. The added dimmer switch further reduces the voltage that the fan sees.